Science, like anything else, has to be built upon a foundation. The foundation on which science is built is an initial belief that is so fundamental that it cannot be investigated or proved. It is necess­arily based on the best collective observation and intuition of sci­entists down through history. The basic collective observation in science is that effects are invariably and consistently related to causes. The basic collective intuition is that these relationships are invariable immutable laws, which are the fundamental essence of the universe. The Laws of Physics are exactly the same from the points of view of all observers at all times, in all places and in all frames of reference. This is what I (and perhaps others, I don't know) call the Prime Axiom. It is the Act of Faith on which all science is based. The Laws of Physics relate how one kind of observable quantity is constrained to vary according to changes in other kinds of observable quantities. For example, how the apparent force between two masses varies according to the amounts of the masses and the distance between them. Written in a form of shorthand called mathematics, this relationship is F & (M1M2)/r2. The symbol & here means "is proportional to". This relationship of proportionality necessitates that there must exist a constant quantity that defines the relationship. 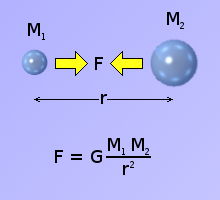 So the & can be replaced by an = sign by multiplying the result by a constant amount, which, in this case, by convention, is called G. Thus, Newton's Law of Gravitational Attraction can be written definitively as F = G(M1M2)/r2. But G isn't an arbitrary constant invented by scientists. Its value or quantity is an inherent immutable invariable pro­perty of the universe. Each of the many Laws of Physics embodies one or more natural constants like G. The laws that define the way in which electromagnetic waves (of which light is one kind) propagate through space embody two natural constants, which, by convention are represented by the symbols ε0 and μ0. The values of these constants have been determined consistently by established standard laboratory experiments. 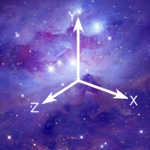 For the Prime Axiom to be upheld, ε0 and μ0 must be seen to have the same values when measured by any scientist at whatever time, in whatever place and in what­ever frame of reference. When two immutable natural constants are multiplied to­gether, the result is bound, by natural law, to be another immutable natural const­ant. The square root of the product of the reciprocals of these two natural const­ants is the speed of light, which is, by convention, represented by the symbol c. Consequently, for the Prime Axiom to be upheld, the speed of light, c, must have the same value for any observer at any time, in any place and in any frame of ref­erence. It is for this reason that the internal behaviour of the light-clock is supposed to be different in the frame of reference of an observer to which the light-clock has a relative velocity, v, which is a significant fraction of the speed of light. This diff­erence in behaviour becomes manifested as a dil­ation of time, t0 / t, between the two frames of reference. Notwithstanding, this supposition clashes with the way a mechanical clock would behave. Time only appears to be dilated for the passage of light. There is no reason to suppose that time would be dilated for a rotating spin-wheel or a swinging pendulum. I find myself troubled by what I see here as a conceptual flaw in the established interpretation of the Prime Axiom. I consequently find myself imprisoned by an ir­resistible obligation to investigate. I imagine space as empty. Intuitively I see that it has 3 dim­ensions. I speculate therefore that truly empty space is not made of nothing. If it were nothing it would have no dimen­sions and therefore would be unable to contain anything. But space does contain things. Consequently, as well as having dimensions, it must also embed all the laws of phys­ics necessary to facilitate the formation and operation of all that exists within it. As a conscious being, I perceive the passing of something people refer to as time. My process of thought can only take place in or through time. Time passes at what appears to me to be a constant rate. Furthermore, it passes at this rate whether or not I am travelling through space at any particu­lar velocity relative to anything else. I perceive time to pass in whichever space dimension I move in. Consequently, I see time as being independent of space. My conception of time is probably related to the rate at which processes take place within my brain. 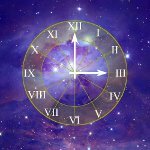 Artificial units of time like hours, minutes and seconds only have significance insofar as I can gauge them in terms of my conscious perception of the passing of time. Time and space thus seem to be aspects of a universal container that provides the means of facilitating my existence. I may optionally move through space according to whether or not I move myself or some external agent moves me. I have no op­tion as to whether or not I move through time. Time marches on regardless. No power can stop it or even influence its rate of passing. This universal container of time and space, over which my conscious perception presides, is what is known as my event-horizon. My conscious awareness resides at its centre. As I look out into it, I look, by consequence, also back in time. It is the backdrop, which provides the contrast against which I am able to perceive all things. It is my yardstick - my personal frame of reference - against which I alone am able to compare all things. So, I am aware of space and time and perceive that I, as a conscious observer, am necessarily bound to a unique frame of reference within space and time. This frame of reference is my past event-horizon and my consciousness inhabits a point-singularity, which is the oldest point within it. From this vantage point, I am able to observe whatever may exist within my past event-horizon. Notwithstanding, in order to observe anything, my consciousness must be provided with some kind of communication channel, which links it to the physical realm of space and time. That channel is my mind, which operates within my brain, which is accommodated and sustained by my body. In space, my body needs some kind of life-support environment such as the Earth or, at least, a spacesuit. And all this con­stitutes an object. So an observer is necessarily an object in space and time. So far, I have not yet introduced the notion of light into my frame of reference. Consequently, there is only one means whereby I can know whether or not anything other than me exists. That means is an external force applied to my body. An external force has to be applied at some point on the surface of my body. The substance of my body is reluctant to be moved by this external force. This reluctance is a property of objects called inertia. It results in my body reacting against the applied external force with an equal and opposite force. For my body to react against the external force at the point at which it is applied, all the contributory reactionary forces, from every point within my body, have to be conveyed to that single point. My senses can detect the transmission of these contributory reactionary forces across the structure of my body. By this means, I become aware of the external force that is being applied. Notwithstanding, I cannot, by experiencing an externally applied force, become aware of the existence of other objects like myself that may co-exist with me in space. For me to become an observer, there must be at least two objects in my frame of reference: 1) me, the observer, and 2) the object I am observ­ing. 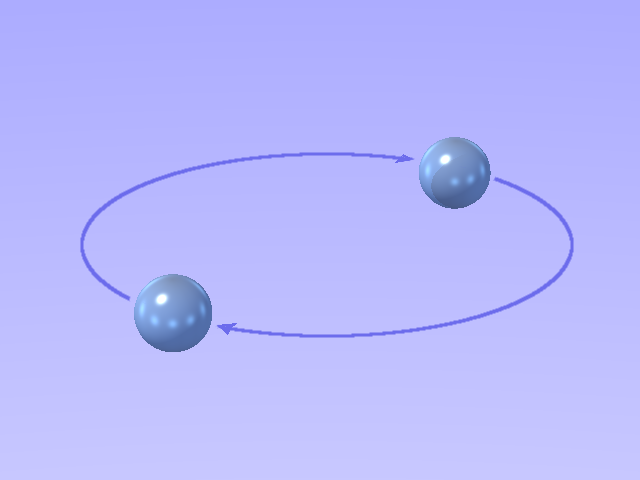 I represent myself, the observer, and the object I am observing, by two spheres as shown on the right. For convenience, each sphere shall be considered stationary within the other's frame of reference. So, since both have mass, the two spheres necessarily orbit each other around a common centre. However, as an as-yet blind observer, I can have no notion as to whether I am in orbit around another mass or whether I am truly alone in free space. There is no mechanism whereby I can gain insight as to which is the case. Furthermore, if the other object were suddenly to cease to exist, I would have no means of knowing that this had happened. 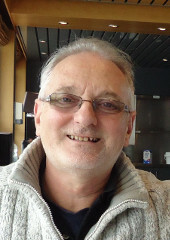 It is true that there would be an extr­emely small change in the gravity gradient in line with the disappeared object. Nevertheless, whatever yardstick I should care to use to try to detect this change would suffer the same slight elongation as whatever I may try to measure with it. Consequently the change would be fundamentally undetectable. When the object disappears, it is some time before its gravitational influence on me - some distance away - ceases. That time is the time it takes the change in grav­itational flux to travel - like a wave at the speed of light - from the location of the disappeared object, to me. Since there is fundamentally no mechanism whereby I could detect this change of flux, it is evident that a so-called gravity wave cannot convey information. Notwithstanding, without light, I cannot become aware as to whether or not I am moving relative to other objects, or even that other objects exist. With the existence of light, I am able to perceive that other things, which are indep­endent of my conscious self, exist along with me in this universal container of time and space. So I am now aware that I share space with other objects. In observing, I perceive that I am somehow receiving information concerning the position, motion, size and nature of what I am observing. I therefore deduce that something must be conveying this information to me from the objects I am observ­ing. Yet I cannot see what it is that is bringing me this information. I can only see what it delivers. This enigmatic messenger is what we know as light. Classically, it was assumed that light must travel as a progressive disturbance within a fluid medi­um in a way similar to the way sound waves tra­vel through air. They called this medium the lumi­niferous æther. This would necessarily form a fixed universal frame of reference to which the speed of light must be tied. All celestial bodies would move relative to this æther. In consequ­ence, the speed at which light travelled between celestial objects would vary according to the speed and direction of the objects. Furthermore, the motion of all celestial bodies through the æther would produce a drag and a bow wave - exactly like a ship does when steaming across the ocean. Experimental observation, however, showed that the speed of light did not vary with direction and that it seemed to be independent of the relative motion between its sources and observers. From this, it was therefore reasonable to deduce that the luminiferous æther does not exist. This being so, space must be essentially empty. It must contain no transmissive medium for light. Light must therefore travel through nothing. A material object, like a rock or a planet, does not need a medium through which to travel. Its existence is independent of any medium. Perhaps light also has this pro­perty. It is not simply a travelling zone of stress within a medium. It can travel alone through empty space because it exists in its own right like a material object does. Unlike a material object, light can only exist as travelling energy. It travels ostensibly as an ever-expanding sphere of energy. As it travels, this energy becomes ever­more sparsely distributed. Its energy-density seems to be in free-fall. As it travels, its energy becomes distributed over an expanding spherical shell, whose area grows at an accelerating rate. Light appears to be composed of interacting electric and magnetic force-fields, which, also unlike a material object, have no mass. Force-fields in space must there­fore be a form of massless material. They appear to have no substance, yet they exist in their own right, independently of any medium. A pulse of electromagnetic radiation must therefore be a massless material object whose nature constrains it to being in a constant state of expansion from its point of origin to infinity. It seems to have an inherent quest or motive to spread its energy as quickly as possible within the confines of an expanding spherical shell. But it cannot spread its energy instantaneously. Again like a material object, electromagnetic radiation - although it has no mass - still seems to have inertia. The inertia of an electromagnetic pulse appears to have two complementary aspects. They are the two universal constants known as the electrical permittivity and the magnetical permeability in free space. By convention, they are represented by the symbols ε0 and μ0. The little zero suffixes indicate that they are the values in free space or vacuum, in which no material substance of any kind is present. Many material substances possess values of ε and μ that are higher than ε0 and μ0. But the fact that they still hold finite values in a vacuum verifies that they are fundamental properties of the electric and magnetic fields themselves. There are rigorous electrical and magnetical laboratory experiments that can be performed "on the bench" to determine the values of ε0 and μ0. The currently acce­pted values of these two natural constants, yielded by such experiments, are as follows. I find the horrendously complicated dimensions of these two universal constants very difficult to conceptualize. However, when ε0 and μ0 are multiplied together, the dimensions of the resulting single constant cancel out to T2 L-2. That is: square seconds per metre per metre. But, although it is simpler, this too is not easy to conceptualize. 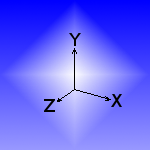 ε0 is the electrical permittivity in free space. Permittivity is conceived from the notion of permission. Perhaps it was viewed this way because the experimenters and theorists that discovered it lived in societies that were governed by regimes that ruled by permission. In other words, a subject of the realm was not allowed to do anything unless he had been given permission to do it. Permission must come before action. But suppose, instead, we consider electromagnetic inertia from the point of view of government by prohibition. The citizen is free to do anything he likes unless that specific kind of act is prohibited. So instead of considering the extent to which nature permits the formation of an electric or magnetic field, we consider how much it impedes the formation of such. Impedance comes after action, which is consistent with the notion that cause must come before effect. In other words, suppose we consider the reciprocals of ε0 and μ0. Multiplying these reciprocals together yields a universal constant that has the dimensions: square metres per second per second. That is, an accelerating area. It depicts something that is increasing in area at an ever-increasing rate. This is within the realm of imaginability. But what is it? Is there anything familiar to physics that exhibits this kind of behaviour? There is a clue in that the effect of the original disturbance contains a fixed amount of energy, which spreads outwards through space as an ever-expanding spherical shell. This suggests that energy is of such a nature that it desires to spread itself as thinly as possible throughout the universe but that electromagnetic inertia impedes the progress of this process frictionlessly. Thus, the constant amount of energy E of the disturbance, as it is dispersing, is spread over the surface area A of an ever-expanding spherical shell†. † By contrast, my later view is that wave-borne information arrives at an observer as disturbances or etchings within a converging æther, which I see as the fabric of time. 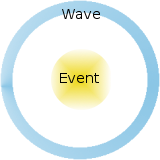 Please see my essay entitled Events and Waves. Imagine a balloon that is only partly inflated. It has a square region, of a different colour, marked on part of its surface. It is being inflated such that its radius is increasing at a constant rate. The square region on its surface will be increasing in area at an accelerating rate. In other words, the size of the square will be observed to increase at an accelerating rate of X square millimetres per second per second. The area of a spherical shell is 4πr2. So the rate of change of the shell's area is the differential A' (nowadays usually written as dA/dt) of its area with respect to time. 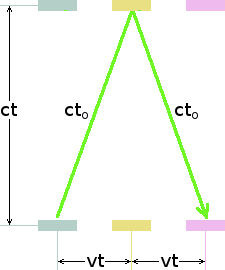 Differentiating, A' = 8πrr'. Let me take a chance and speculate that r' (the rate of increase of radius of the spherical shell) is constant. In other words, the radius of the sphere increases at a constant rate, c. Thus r' = c. So the rate of increase in the area of the shell, A' = 8πcr. But the rate A', at which the area A is changing, still depends on how big the shell is at the time. So let's differentiate again. The rate of change of the rate of change of area A" = 8πcr', which, since r' = c, is 8πc2. This is the rate at which the area of the spherical shell is accelerating, which is constant if r' be const­ant. It is as if the planar energy-density (joules per square metre) of the disturbance, within the spherical shell, is diminishing in a manner analogous to the way an object falls under the influence of gravity. In other words, its rate of fall accelerates. So, whereas material objects may be considered as imprisoned - or held - energy, a burst of electromagnetic energy may be considered as free - or falling - energy. But both must necessarily be objects in empty space. Any emission of electromagnetic energy always owes its existence to a material object. 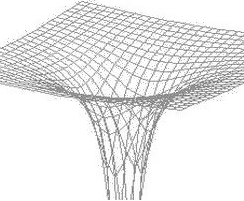 It is born as an event - such as an atom changing state or the accelerating of an ele­ctron within a metallic lattice - taking place within a mat­erial object. A pulse of electromagnetic radiation can therefore be justifiably considered to be a material part of what gave it birth. Thus, if an electromagnetic pulse exists in its own right, independently of any lumin­iferous æther, and if it were emitted by a material object, then the origin of its progress through empty space must necessarily take place within the frame of reference of its source. That which emitted it must forever remain the origin of the frame of reference within which it expands. And the radius of its spherical shell extends continually at velocity c, which is effectively determined by the universal constants of electric and magnetic inertia. I am an Earthling. I am an experimenter. I have a laboratory here on Planet Earth. I set up experiments in my laboratory to measure ε0 and μ0. I obtain the following results. I have a friend. He is an Alien. He lives on another planet far far away. He too is an experimenter. His planet is travelling with a relative velocity v - which is a sizeable fraction of the speed of light - with respect to the Earth. My Alien friend also has a laboratory located on his planet. He sets up experiments in his laboratory to measure ε0 and μ0. He obtain the foll­owing results. His results are the same as mine. The Laws of Physics are seen to be the same for both of us. Thus, the Prime Axiom [that the Laws of Physics are the same from the point of view of any observer in any place at any time] is upheld. We each perform another experiment to verify directly the speed of light. We both get the same result of 299,792,458 metres-per-second. Again, the Prime Axiom is upheld. Now suppose I have a hypothetical telemetry link through which I can watch my Alien friend's experiments being conducted. Will I, through this link, see the same results from his experiments as he sees? Not necessarily. My hypothetical telemetry link, however perfect it may be, is restricted in its ability to convey information. It cannot convey information any faster than the speed of light. My Alien friend is moving relative to me at a considerable fraction of this speed. And it is things concerned with the speed of light that his experiments are designed to measure. For instance, if I time the passage of light through his Mich­aelson-Morley experiment to measure the speed of light, I am going to get some weird results, as evinced by the light-clock experiments in the previous article. If my Alien friend does his measuring and then transmits his results thro­ugh the link to me in digital form then I will see the same results that he sees. But this is a symbolic representation of his results, not my direct observations of his experiments across space. Even so, for information to be transmitted digitally, he and I both must use the same pre-established coding convention. Consequently, the value of c that my Alien friend's experiment yields to me is un­likely to be the same as it yields to him. Thus, the universal natural constants appear to each of us to be the same within our respective frames of reference, but different in somebody else's frame of reference. Nevertheless, provided the values I see from my Alien friend's experiments are the same as the values he sees from my experiments, the Prime Axiom is upheld. The Laws of Physics exhibit exactly the same behaviour from both our points of view. Consequently, the notion that the velocity of light is tied to the frame of reference of its source does not violate the Prime Axiom.